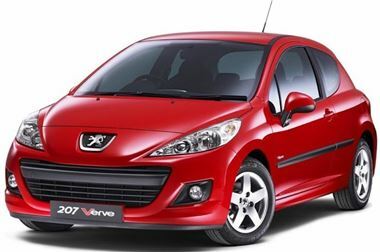 The Peugeot 207 Verve will be available with two new engine options and in three new exterior colours, from January 2010. The Peugeot 207 Verve, currently available with a 1.4 litre 8v 75 bhp petrol and 1.4 litre HDi 70 diesel engines, will be joined by a new 1.4 VTi 95 bhp petrol and 1.6 HDi 90 diesel engine, in January 2010. To highlight the added ‘Verve’, three new exterior body colours are also introduced to the range. Five colours are now available with the introduction of Aluminium, Shark Grey and Moroccan Red to the already available, Flamenco Red and Onyx Black. For music lovers the new 207 Verve is also fitted as standard with Peugeot Connect USB with Bluetooth. This system enables a Bluetooth compatible mobile phone to be paired with the car. Once paired, the phone can be operated via the remote controls on the steering column. High-quality telephone communications can, therefore, be carried out in complete safety using both the car’s speakers and inbuilt microphone. The system also includes a USB Box which consists of a connection box located in the centre console with a USB connector and jack socket, all protected by a hinged cover. Once connected, an MP3 player or an iPod can be operated via the radio controls or controls under the steering wheel, with the units screen information also shown on the car’s multi-function display. The unit is also capable of “streaming” music via the Bluetooth function, making it possible to play recorded music from the memory of a Bluetooth phone or from a portable music player equipped with a Bluetooth module. To help maximise the fuel efficiency of the 207 Verve, the Euro 5 1.4 litre 8v 75 bhp model is also fitted with a Gear Shift indicator (GSI). This feature helps the driver to adopt a more economical driving style by indicating the optimal gear to be selected, thereby ensuring the lowest possible fuel consumption and CO2 emissions. The indicator is located in the odometer and consists of a rising vertical arrow indicating the best time to change gear. The driver, however, is responsible for following the system’s indications. The 207 Verve range starts at an on-the-road price of £12,330.62 for the three door 1.4 litre 8v Euro 5 petrol model.